Today I wanted to talk about a different sort of makeup company, Sephora. And the main reason that it is so different is simply because they are not exactly a brand per se, but rather a company that sells a host of other brands in addition to their own line of products (more on that later). In fact, they sell literally hundreds of brands and use that wide range of selection to their advantage. Let’s dive a bit more into the pros and cons of shopping at Sephora. To start off, Sephora is a very common store in general, meaning that it is never too difficult to find one near you. If you go to just about any large mall, you can almost certainly find one. 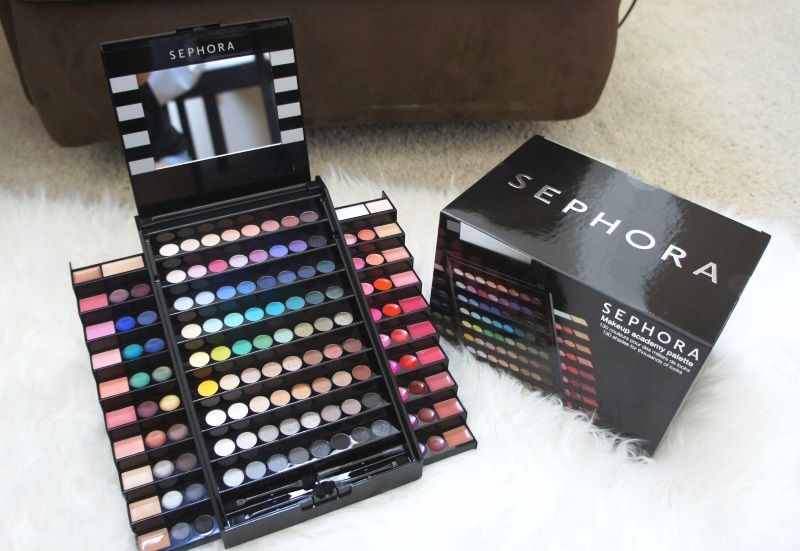 When women are in the mood for shopping for some makeup and other beauty products, Sephora is one of the first companies that comes to mind, simply due to this accessibility from almost anywhere in the United States, coupled with the wide range of products that they have at their stores. When it comes to prices, because Sephora does not sell only their products but rather a range of different brands, the prices span a wide range as well. If you want an expensive brand, you can find it at Sephora for a correspondingly high price. Or if you want more of a bargain brand, you can fit it at Sephora for a correspondingly cheap price as well. Once again, the fact that they sell a wide range of products becomes a huge advantage for Sephora, as it is literally impossible for any other (singular) company to have as wide of a price range as Sephora due to this fact. Because there are just so many brands that are sold at Sephora, it is basically impossible to describe the quality of products that you will get when you buy at Sephora, as it essentially depends on what brand you end up buying. But having said that, we can still talk about at least one brand at Sephora and that is their own. But before I begin, let me be the first to say that the quality of Sephora’s brand truly does not compare to any serious player in the makeup industry. Because Sephora’s business model primarily depends on selling all of the other big name brands, their own products do not necessarily have to be the best to compete and succeed in general. Sephora’s beauty products are not necessarily bad, but they are pretty generic. In fact, if you had the choice of any makeup product, you almost certainly wouldn’t choose Sephora’s. At least assuming you aren’t considering the price. You see, Sephora offers just about all of their products at just a fraction of the price of other more well-known brands. In other words, deciding whether or not you should buy from Sephora totally depends on your desire for quality or for price. As a general rule of thumb though, when it comes to Sephora (especially when compared to the other brands that they offer in their stores), the phrase “you get what you pay for” could not ring any more true. However, when considering the overall value of each of their products, Sephora makes it a big point to only offer products that their customers approve of. In order to do this, they basically remove all products that do not hit the four-star threshold (out of five) after a certain period of time. So if you do buy one of Sephora’s generic products, you can at least rest assured that the product passes a certain satisfaction threshold as measured by customer reviews. One downside to shopping at Sephora is that the sheer volume of brands and products does sometimes make it overwhelming, especially for customers who are new to Sephora. In fact, even their online store is pretty hard to navigate around. Although this can be a huge nuisance to shoppers, the benefits do for the most part outweigh this pretty significant hurdle when it comes to shopping there. Luckily after you’ve shopped there enough times, it gets significantly easier with practice. 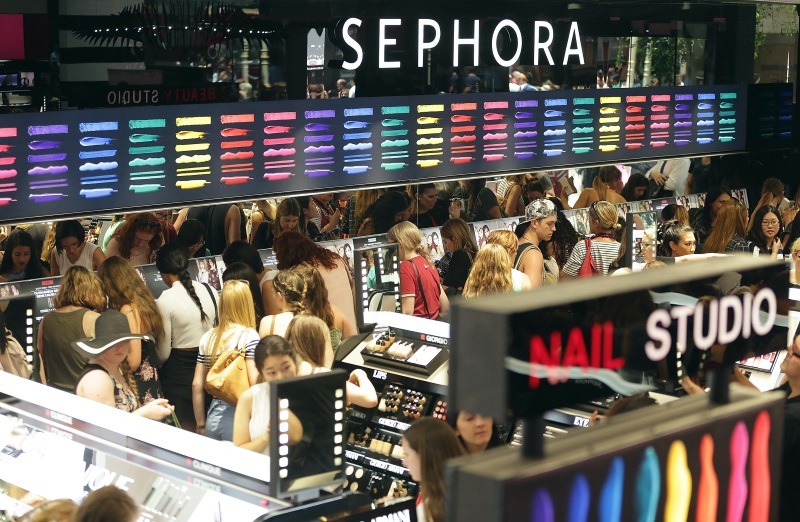 So the ultimate question: should you shop at Sephora? In short, yes. But it is important to keep your expectations relatively in check. There are clear pros and cons when it comes to shopping there that starts with the products that they sell. Although there is probably an unparalleled number of different brands and products that you can buy from Sephora, if you are going specifically for Sephora brand products, you need to be aware that you get what you pay for. Also don’t be overwhelmed by the sheer volume of products if you are shopping at Sephora for the first time (either in the store or online). Keep all of this in mind, and you can definitely have a pleasant shopping experience at the gigantic store known as Sephora.